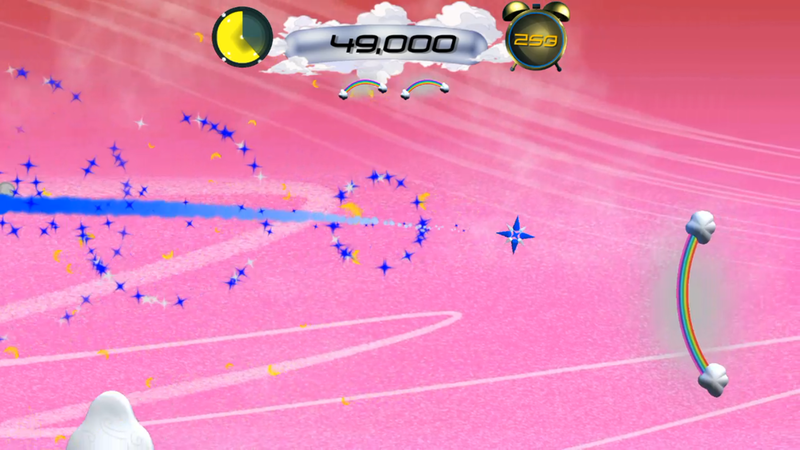 Drift your way through the colorful skies of Super Shooting Star! Run the gauntlet of crazy weather, build awesome combos and test your skills on your journey to the final battle with the angry moon boss in this amazing sky adventure. Casually cruise through the happy worlds of arcade mode, put your reflexes to the test in a series of challenging trials or prove your mastery in the intense waves of the survival mode. Fly through the vibrant and unique worlds of the procedural Adventure Mode! Spin your way to gold medals in 30+ fiendish puzzle challenges! Race against time in the intense Survival Mode! Dynamic shoot and flick gameplay mechanic! Use the charge dash to boost through the skies! 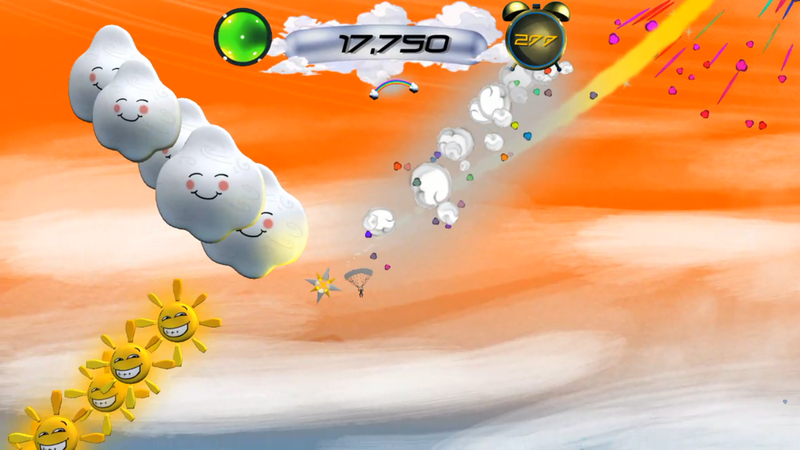 Score points by collecting pickups - clouds, sunshine, insects, birds and balloons! 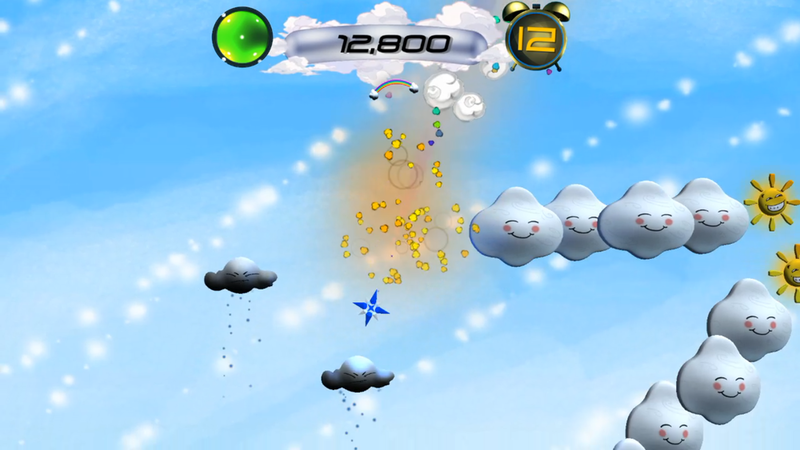 Defeat the different forms of weather - grumpy, windy, hunter, splitter, mine and shooter! 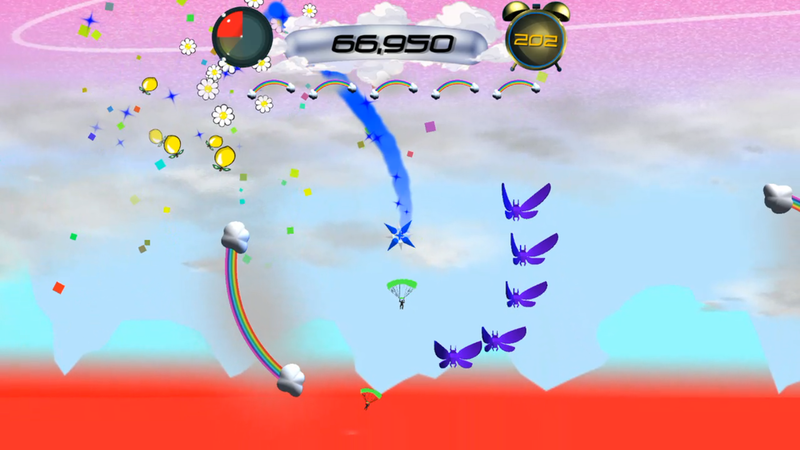 Unlock a selection of funky shooting stars using in-game cash! Clash against your friends and the world as you ride to the top of the Leaderboards! 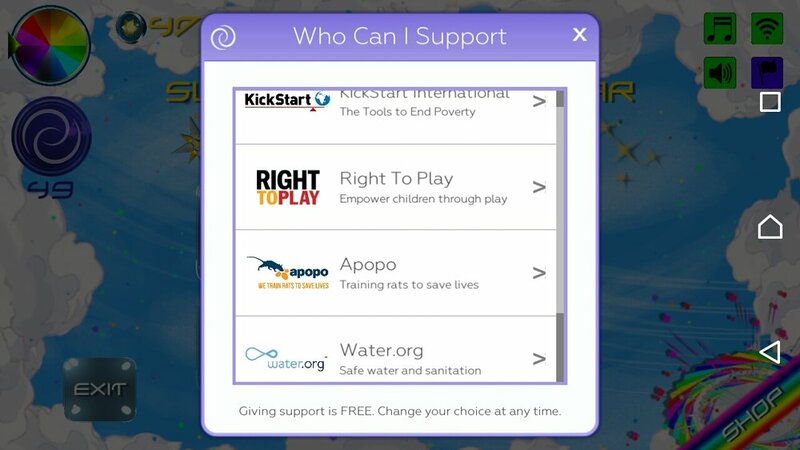 Obtain tricky Achievements as you play!